If you’re an employer in a government institution, you probably already know that the competence of your employees is one of the most important aspects of your job. 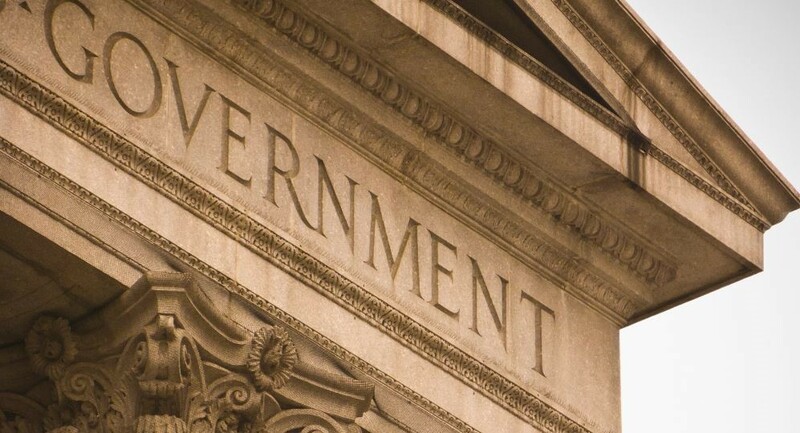 A hardworking, capable workforce is the backbone of any good company, but this goes especially when you work for the government, as the quality of your work is something that can affect a very large number of people. In order to build a capable workforce, it is paramount that you invest inadequate employee training, and the main issue with this when it comes to government institutions is the rather large number of employees that need to be trained and have their knowledge and competence tested. In the past, this used to be a tedious, expensive process, but with the advance of information technology, it’s not nearly as bad as it used to be back in the day. Today, we want to talk a bit about how implementing an E-learning training in government institutions can help you regulate training and testing costs, as well as significantly increase the efficiency of employee training. Testing is one of the most important aspects of employee training, as it is the only way that you can actually know how effective the training was and how much your employees benefited from it. In an institution with a large number of employees, high-volume testing using the conventional pen-and-paper method can be quite costly. This is not only due to the overwhelming printing expenses, but you also have to hire someone to supervise the testing process. Using a good learning management system (or LMS) such as Classroom 2020 can help you save a lot of resources on this, as the testing process is automated with the help of a computer. Additionally, this allows employees to take the test at their leisure, which eliminates the need for the reservation of a particular time and space for the testing to take place. Another advantage of using an LMS for employee testing is that the tests themselves no longer have to be limited to a simple question-and-answer format. Thanks to technology, you can introduce multimedia such as videos and imagery, which can help make the process easier, more intuitive and definitely more effective. One of the main concerns of a government-based institution when it comes to E-learning is the concept of the Cloud. Because information is being stored and shared online, many people are rightfully worried that it might fall into the wrong hands. This concern is so large that many institutions are not even allowed to store information on servers that are outside the country. The opinion that data is much safer on an offline, hard medium such as an external hard disk locked away in a drawer is completely understandable, but not necessarily correct. According to recent studies, there really is no significant difference when it comes to security. The studies inconclusively proved that the means of access matter far more than the actual location of the data, and as long as the security of the server is sufficient, your data remains safe. And when you consider the many benefits that storing data on the Cloud can have for your company versus the negligibly small risk, it’s really a no-brainer. Taking a course online has completely transformed the way we view education, and as technology improves further so will the courses that become accessible to us via the Internet. Back in the day, the company would have to pay transportation and hotel fees for employees to attend a centralized course in a specific time and place – now they can do it from the comfort of their home. There is still a lot of prejudice concerning how effective online courses truly are, and some of the more common arguments are that there’s no sense of urgency when you take a course online. And while this might be true to some extent, online learning offers a myriad of benefits that completely outweighs that one potential disadvantage. For example, when attending a traditional lecture, if you aren’t able to keep your focus throughout the entire lecture, there’s a chance that you will miss a crucial point in the presentation. When taking a course online, however, there’s a good chance that the material is pre-recorded, so you can listen to it as many times as you need in order to soak it in. This is just one of the many advantages that studying online can offer your employees, so it is definitely something worth considering. After your employees complete an online course and all the necessary testing that comes afterwards, you’re left with the issue of gathering all the information you need from these tests – how well your employees did, how difficult the test itself was from their point of view etc. – and sorting the information in a statistically adequate manner. This used to be a really tedious process, but with the help of an LMS such as Classroom 2020, this can be done in mere seconds. The software automatically collects and arranges the test results and the feedback left by the employees, and only provides you with information that is actually useful to you. A highly useful feature that can potentially save you a lot of valuable time and energy. There is no replacement for a capable workforce, and as you can see, one of the best ways to make sure you have one is to make sure they are properly trained and their knowledge is evaluated on a regular basis. E-learning software is improving every day and is bound to take over education in the very near future, so it’s a good idea to get acquainted with it as soon as possible.